Revlon Charlie Silver for Women EDT, 3.4 fl. oz. Britney Spears Fantasy The Nice Remix for Women EDP, 1.7 oz. Britney Spears Fantasy The Nice Remix for Women is a fruity, florally, gourmand fragrance. 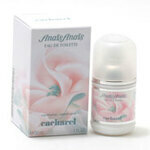 This delicious women's fragrance opens with juicy kiwi, which leads to the center of jasmine and cupcake. The base of musk gives this sweet Britney Spears perfume a seductive note. 1.7 fl. oz. An EDP spray. Davidoff Cool Water for Women EDT, 1 oz. Guerlain Shalimar for Women EDT, 1 oz. 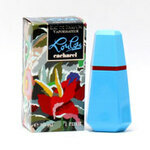 Cacharel Eden for Women EDP, 1.7 oz. Cartier Baiser Vole for Women EDP, 3.3 oz. Cartier Baiser Vole for Women is a feminine fragrance as refreshing citrus at the top, blending in nicely with it's green lily core. 3.3 fl. oz. The women's perfume is an EDP spray. Beverly Hills Polo Club Joy for Women EDP, 1.7 oz. Versace Yellow Diamond women's perfume is a fruity, floral scent. It opens with fruity pear, lemon and bergamot. 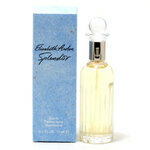 A floral middle of mimose, water lily and freesia are in a seductive base of amber, musk and wood. 1.7 fl. oz. EDT Spray. No express shipping. No shipping to PO boxes.